Niagara Falls, located in both Ontario, Canada and New York, USA, is the name of a group of three individual waterfalls: American Falls, Bridal Veil Falls, and Canadian Falls (aka Horseshoe Falls). 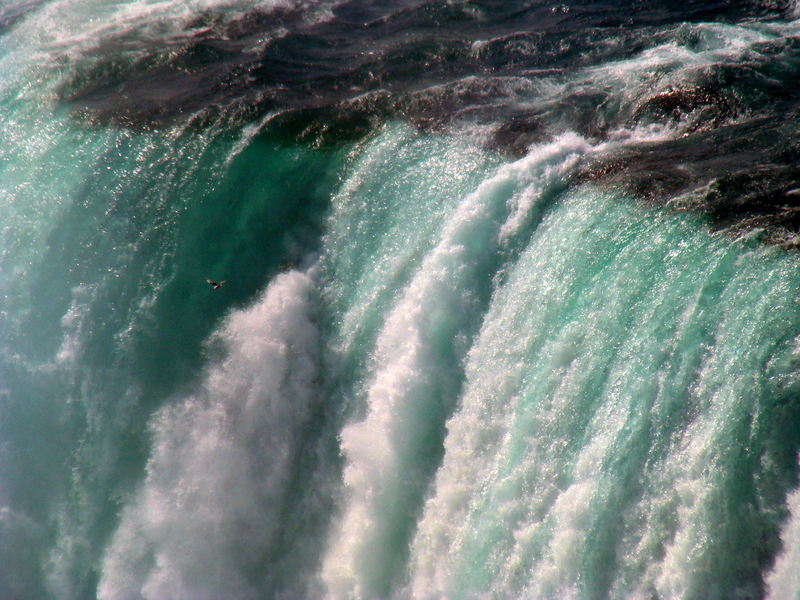 Together, these waterfalls are the most powerful in North America. 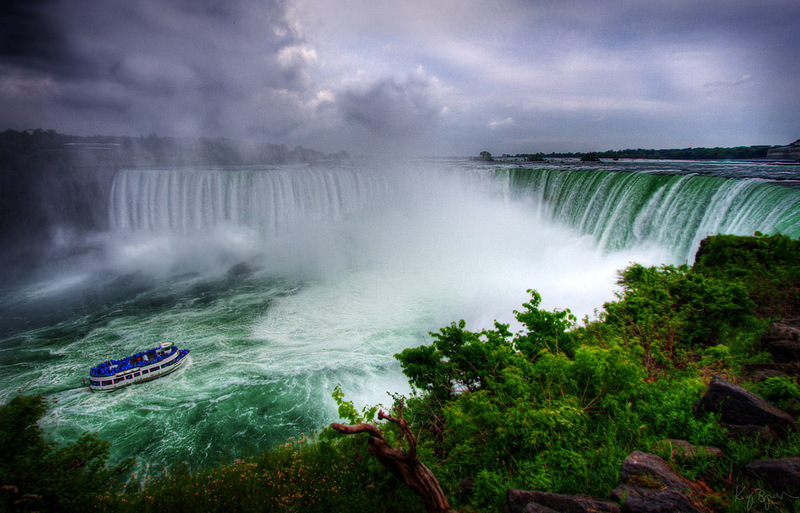 Niagara Falls is situated between the twin cities of Niagara Falls, New York, USA and Niagara Falls, Ontario, Canada. 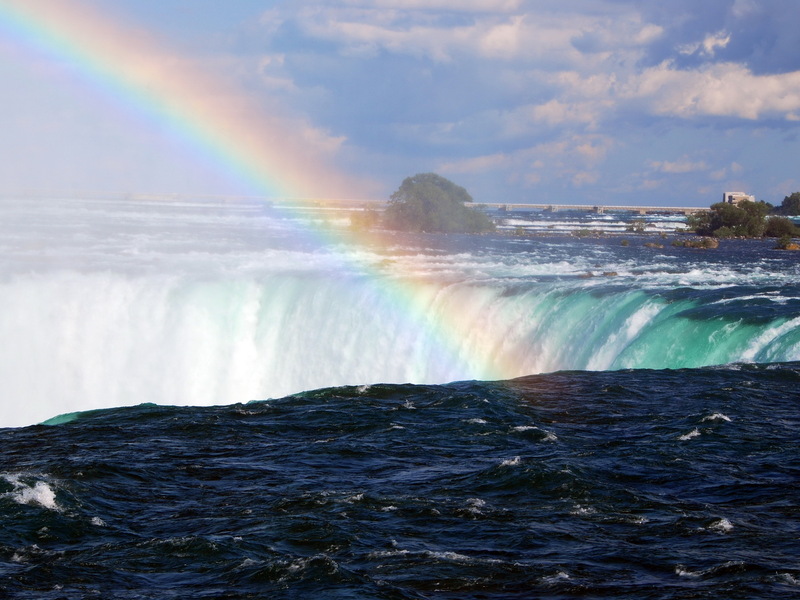 Horseshoe Falls has the highest drop at 173 feet (53 meters), while the waters flowing over American Falls tumble about 100 feet (30 meters). More impressive, though, is the sheer amount of water flowing over Niagara Falls, up to 202,000 cubic feet (5,700 cubic meters) per second during peak flow. A small island called Goat Island separates the American and Canadian sections of the falls. 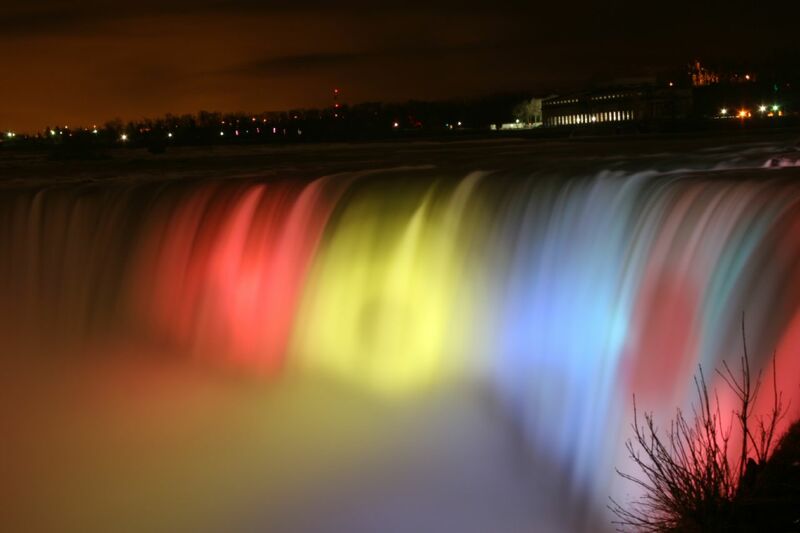 Niagara Falls is a very popular tourist destination, drawing over 28 million tourists per year. 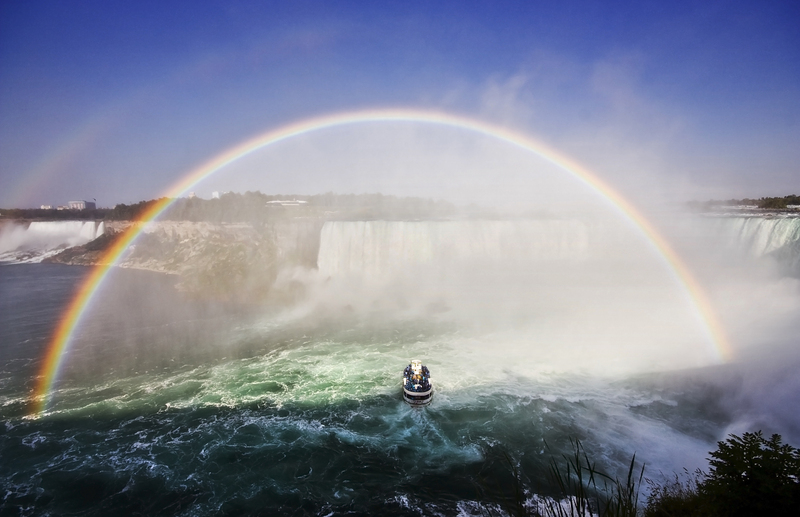 Visitors can take a tour on the iconic Maid of the Mist boat, enjoy a ride on the Niagara Scenic Trolley, or splurge on a Flight of Angels helium balloon ride for a unique aerial view. 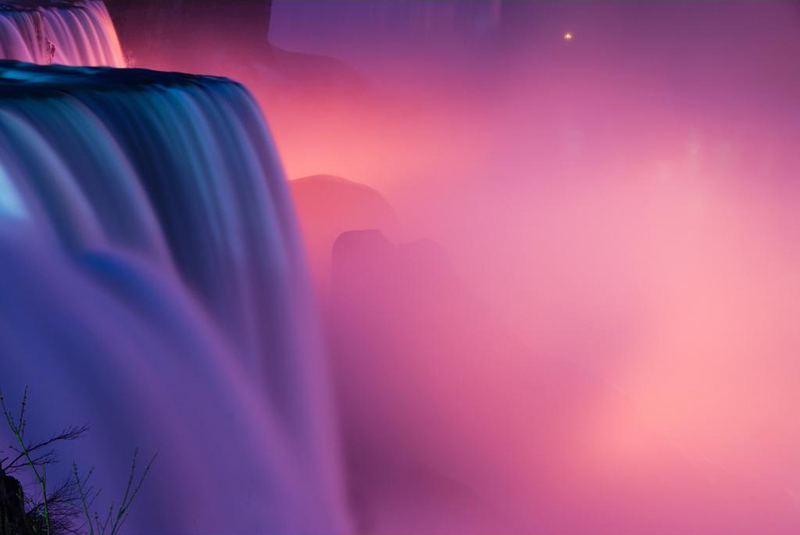 At night, Niagara Falls is lit up by colorful floodlights creating a breathtaking scene like no other.